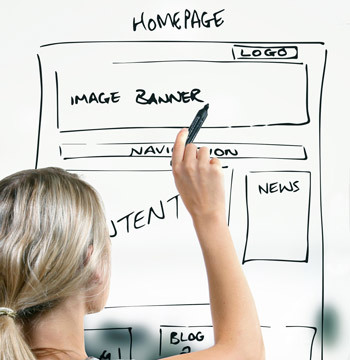 We design, create and manage websites. All kinds of websites. We like to keep things simple, so we normally use either plain HTML or WordPress to build sites. Both 'systems' have their own strengths. In a sense, the most important service we provide is speaking and listening to you, the customer, to understand exactly what you want your website to do. That information tells us which system and what additional software is needed to build your website. That's why our 'request a quote' form asks you to tell us about your planned website. If you want your website to work for you, and not the other way around, our maintenance and update services are the ideal solution. Not everybody wants to spend their time managing website updates, dealing with security, backups or generally maintaining a website. For that reason, we offer clients maintenance and update services. Pricing will depend on your website specification and will be provided with your initial website creation quote. If you opt for an HTML website (or if we recommend it) but don't have sufficient knowledge to edit HTML code, we also offer a page updates service so that if you want to make changes to your website, change text, add or change photos and so on, we'll do it for you. As standard, our HTML updates service includes 24 updates, two per month (up to 24 a year), which is far more than the average website owner will ever require. Should you want to add extra html pages to your website in the future, we can also do this for you at a low cost. If you choose to take advantage of our maintenance and hosting services, your website will be hosted on the same UK-based server as this website. We need to guarantee consistent service for our own sites, and those of our other clients, so some restrictions apply to resource use. In simple terms, if your website starts attracting large numbers of visitors and consuming too many resources (server memory, etc) you may be obliged to move to individual hosting. Email facilities are included with hosting, but will be withdrawn if an email account is used to send spam emails.